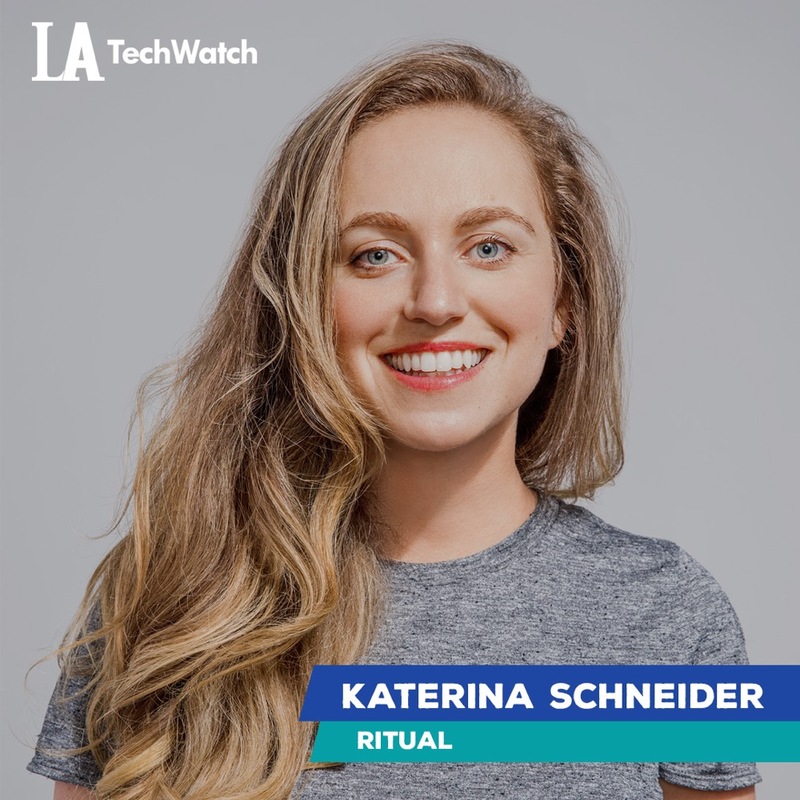 LA TechWatch caught up with Katerina Schneider to learn more about the company, its future plans, how the business has evolved since we spoke after its Seed round in 2016, and the company’s latest round of funding, which brings it total to $40.5M across four rounds. 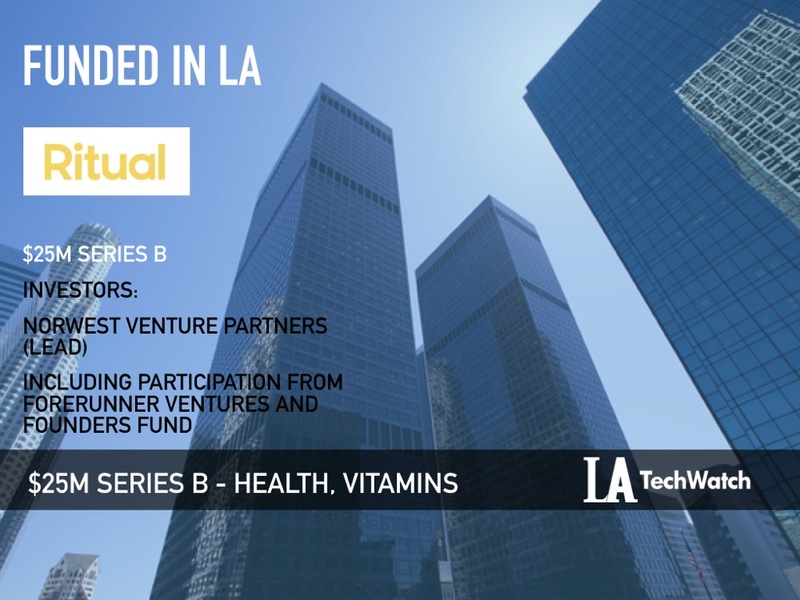 Ritual’s $25M Series B funding is spearheaded by existing investors Lisa Wu at Norwest Venture Partners (Jet.com, Plaid, Opendoor), alongside Kirsten Green at Forerunner Ventures (Hims, Dollar Shave Club, Glossier), and Brian Singerman at Founders Fund (Stemcentrx, Oscar Health, Airbnb). Tell us about the product or service Ritual offers. Ritual is a health meets technology company that believes in quality, traceability and ingredients that work best in the body. Led by an evidence-based or bust mentality, Ritual’s scientists sifted through thousands of independent research studies to determine the nutrients included in its products. The team then selected forms of each nutrient backed by a significant body of research. In keeping with the brand’s rejection of pseudoscience and commitment to transparency, Ritual has made key research studies that informed the team’s choices available on its website. Ritual was born out of the belief that better health begins with better ingredients. Ritual sources essential nutrients straight from suppliers to combine clean and absorbable ingredients at a fair price, offered direct-to-consumer. Currently, Ritual offers a daily multivitamin, Essential For Women and a prenatal multivitamin, Essential Prenatal. What inspired you to start Ritual? The idea for Ritual came from a personal need. I was an investor in LA managing a venture capital fund, and I got pregnant for the first time. I started caring a lot more about what I was putting in, and on, my body because the stakes were higher. I was shocked to find out that the prenatal vitamins I was taking for my pregnancy contained the same potentially harmful ingredients I was trying hard to avoid throughout my house. I did more research and called up a bunch of friends to ask what vitamins they were taking. I got things like “nature something,” or “yellow bottle with a brown cap.” There was zero brand affinity. It seemed crazy that no one was building a brand for our generation that was clean, effective, and transparent. That’s where my journey began, as a skeptic of vitamins building a brand for other skeptics. I set out to reimagine the vitamin from the ground up. The first part was identifying what diets were today, not what they used to be 50 plus years ago. The second part was finding nutrients that actually worked and performed optimally in the body. For instance, I was shocked to find out that over a third of women couldn’t even properly utilize synthetic folate (folic acid) because of a gene variation. Therefore, we searched the world for highly absorbable forms like methylated folate. The third part was identifying the best encapsulation for those nutrients. We came up with a beadlet-in-oil encapsulation that keeps nutrients in their original forms in a capsule that doesn’t dissolve until it hits the small intestine, bypassing the stomach, so you can take them on an empty stomach without worrying about nausea. What market is Ritual targeting and how big is it? Ritual is laser focused on the US vitamin and supplement market which is $36B dollars and growing. Ritual’s ideal customer is one who doesn’t take vitamins or doesn’t have consistent vitamin taking habits. In offering transparently-sourced, rigorously-researched alternatives to the typical multivitamin and an improved vitamin-taking experience, Ritual has successfully transformed many women’s behavior and expanded the vitamin market—59 percent of customers Ritual surveyed said they didn’t have a consistent vitamin habit prior to trying Ritual. Ritual is a direct-to-consumer subscription company. How has the business changed since we last spoke after Ritual’s Seed round in 2016? We’ve grown a lot but our mission has remained the same–we’re still focused on reimagining the vitamin from the ground up but are now applying our philosophy to meet women’s needs at every life stage. We’re excited to continuously improve our products and are always researching better ingredients and the most up-to-date formulation and encapsulation solutions. Since 2016, we’ve sold over 1 million bottles and built an incredible community of women who care about what they’re putting in their bodies and why. We’ve had tremendous support from our existing investors since the beginning. We went to them first for our fundraising. Showing that we didn’t need to have a lot of different products/SKUs to build a meaningful business and also convincing investors that building one vitamin to stay with her through all of life’s stages could be just as successful, if not more successful, than the other brands out there offering a large array of supplements for different beauty boosts, add-ons, etc. Firstly, there were signs that we had the foundation of a brand that extended to something larger than vitamins. Next, we have great early metrics around growth and scaling up. Lastly, our commitment around our product IP and building the best possible product was a factor. The next big launch for us will be a postnatal vitamin which will help us further our vision of offering the single vitamin women need for every stage in their lives. Listen to your customers. Social media has had an invaluable impact on our growth because it gives us the tools we need to continuously communicate with our consumers. We make a huge effort to respond to every single comment that comes in and followers appreciate it. They are our best critics and their opinions matter to us. We have evolved based on their feedback. Staying laser focused on constantly improving and evolving the single vitamin women need for every stage in their lives. Plant Food + Wine in Venice.